I was observing the Moon Eclipse tonight (4 april 2015, 8pm brunei time), from a place that had a few crowds hanging out and walking by, I looked around and it seemed most people were unaware of what was happening. not looking to the sky. The last time I saw the moon eclipse was a few years ago in KK in December 2011. It was a similar environment. Something incredible was happening. Our shadow, earth with us on it, was blocking the sun’s direct light from reaching the moon, at ironically the position that can also be the fullest and the brightest for the moon. If we wand yet not a lot were appreciating it. The last time I saw it I felt the same awe that I feel now. It was around the time I made the pivotal decision to change my health and fitness. I was 110kg then, I went as far as 90kg last year (now I’m up a bit to 95kg, but I’ll work on it again) and able to do a half ironman where I swam 1.9km, cycled 90km, ran 21km. There are things happening around us, opportunity is abound. and yet most of us are not open to it. Like the uncommon moon eclipse (moon eclipses are more common than sun eclipses). Life opportunities are quite common. Great opportunities come once in a while. Only a few of were aware of it. Few of use will take the time to find about it, and then take the time to make it to appreciate it. For me the awe is still there. 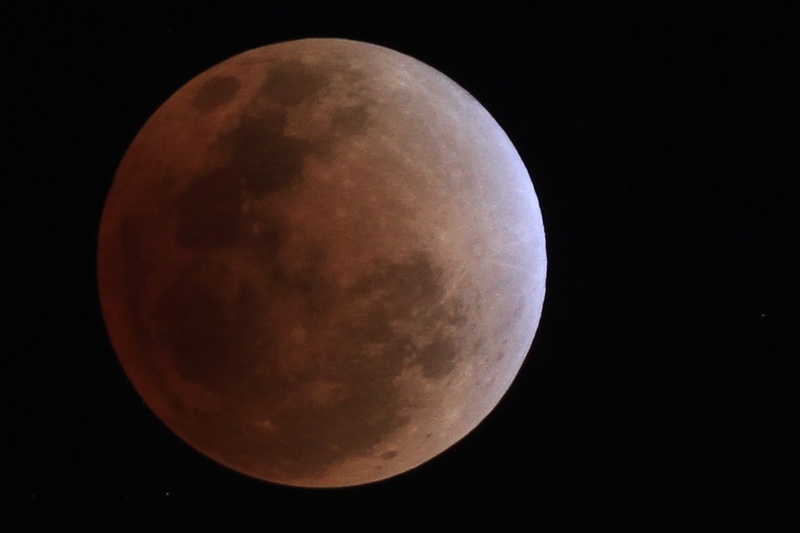 Understanding of how a full moon eclipse happens. How small we are compared to the earth, moon and sun… to the universe. and yet how important we can be to each other, near and far. How one event can be observed and affected by millions of individuals. How each one of us can take the opportunity to make something happen in our lives. To catch that moment. Reminds me of my understanding of the islamic concept of fate – qada’ and qadar. There are events that are fixed in the universe, and then there are events that man has the choice and ability affect. The full moon is a preset event, while the human ability to predict it, to observe it is a choice. Life opportunities are less likely to be predicted, but they can be anticipated, and we can prepare ourselves for that event. We don’t have to just allow events to past us by, we can observe it, we can study it, or we can appreciate it, in some cases. We can create it or create something with it. This time my pivotal change is more on contribution and financial gains. I have gone far from the last moon eclipse, from losing weight to being able to do a half ironman. I look forward to see the next full moon and look back to my life from the this full moon eclipse. Everything is already set into motion, I would like to be prepared, be there when an opportunity happens. Once in a Blue Moon? How about Once in the eclipse of a full moon? Closing thoughts, If we on earth is experiencing a moon eclipse, the moon is experiencing an earth eclipse. Think about it. Posted on 2015/04/04, in Brunei, insights and tagged Brunei, fitness, full moon eclipse, Health, money, opportunities. Bookmark the permalink. Leave a comment.